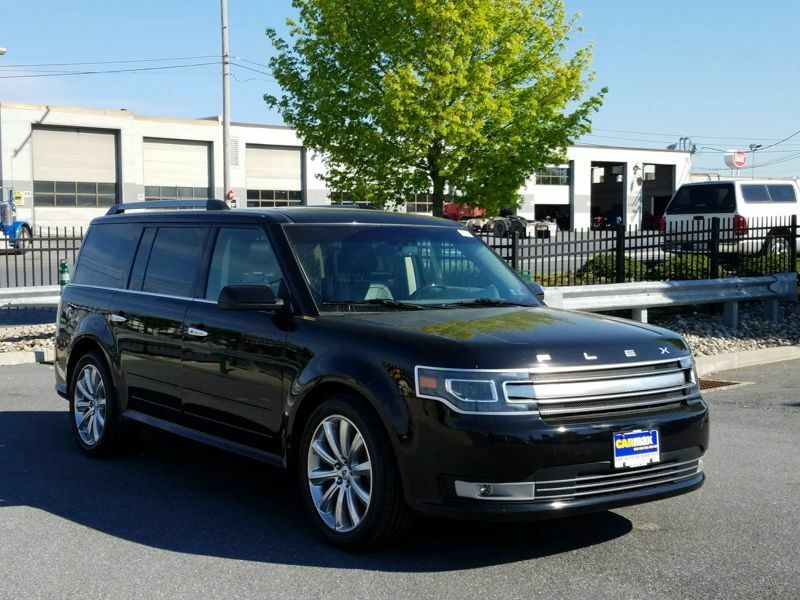 Transmission: Automatic Color:Black Interior Color: Black Average Vehicle Review: (5 reviews) Everyone looking for a roomy, sporty, powerful, and fun to drive SUV needs to give the Ford Flex a test drive. We looked at many different SUV's, many with almost twice the price and our Flex was the clear winner. We decided on the Limited, AWD, with ecoboost engine and it has not disappointed. We live in the foothills and the Flex never loses power on the steepest of hills, wet, slick, snowy weather, not a problem! Room for kids, dogs, friends and luggage, as well as a comfortable spacious interior. Why the Ford Flex is not the best selling 7 passenger SUV is a mystery to me! Give one a test drive today and you will be sold!